Summer is right around the corner and there’s no better time than the changing seasons to support our body’s ability to cleanse, detox, and renew. Here are 5 ways to detox everyday! We live in a world where we are exposed to toxins in nearly everything we do, from what we eat to the air we breathe and what we put on our skin. There are all kinds of detox regimens one can follow, but today I want to share 5 ways you can detox everyday! I always tell people who are looking to do a cleanse that the most important thing is a healthy functioning digestive system. Your body simply cannot efficiently remove toxins and waste if you’re constipated or otherwise not having regular, healthy bowel movements. Soluble fibre becomes gel-like during digestion and helps bind to toxins and other particles like a sponge, whereas insoluble fibre acts like a “scrub brush” against the intestines and helps add bulk to the stool. I like to recommend foods that are rich in both soluble and insoluble fibre to obtain the benefits of both. These include apples with skin on, chia seeds, and ground flaxseed. Add a spoonful or two of flaxseed into your morning smoothie or bowl of oatmeal. Always make sure to grind whole flaxseeds into a powder, or purchase pre-ground flax meal to ensure optimal nutrient absorption. 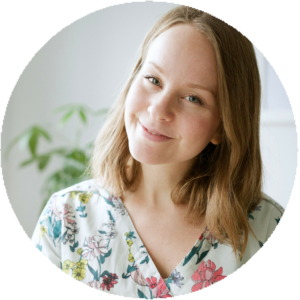 I talk about water pretty regularly, and that’s because it is so important and benefits us in so many different ways (especially in the way of cleansing our body). Water keeps us hydrated and helps filter our kidneys and urinary system and flushes out accumulated waste in our gastrointestinal tract. Experiment with your water by adding fruits such as lemon or lime and herbs such as rosemary, mint, or fennel. Not only do each of these foods help boost our metabolism and stimulate digestion, they also give water a refreshing, tangy twist. Add to a large glass of water and let infuse for a few minutes. Try this easy blend: 1L filtered water, 1/2 fresh lemon, 3 leaves mint. Skin brushing is a very unique tool that you can incorporate very easily into each day, or at least a couple times a week, and is a great way to help aid detoxification. It removes dead skin cells, improves circulation and helps eliminate toxins by stimulating the lymphatic system. Skin brushes are thick bristled brushes usually attached to a long wooden handle, often removable, and can be found at most health food, department or drug stores. Always skin brush before a bath or shower while the skin is still dry. In circular motions, brush toward your heart — up the arms, legs, and abdomen and down the shoulders and chest. There are boatloads of greens to choose from that can help gently yet effectively cleanse our body. A few of my favourites include parsley, cilantro, and chlorella! Chlorella is a blue-green algae that helps chelate and bind to heavy metals. It’s also very rich in chlorophyll making it incredibly purifying, alkalizing and mineral-rich. 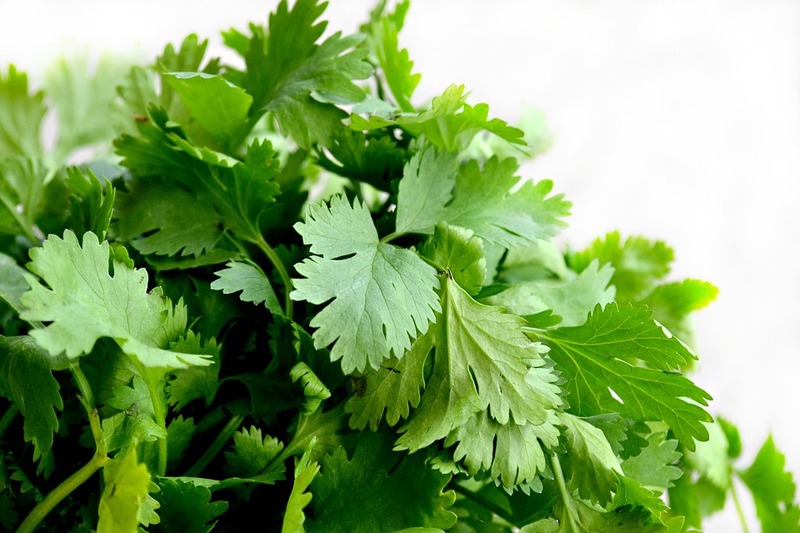 Cilantro is another great herb, as well as parsley, which can help neutralize certain types of carcinogens. Greens are very rich in antioxidants which help to protect our body from free radical damage caused by toxins and pollutants, and are especially important and useful when we are looking at removing those harmful substances from our body. Our skin is our largest organ, and it’s easy to forget that it absorbs so much. Our skin says a lot about our health and so it’s important that we take care with not only what we put into our body, but also onto our body. Don’t worry – you don’t need to throw out your entire makeup collection. However, I will suggest that you start somewhere and gradually work to introduce cleaner, healthier beauty care items. A great place to start is with an item that you use either all over your body, or one that you use most frequently. This could be a body lotion, facial moisturizer, shower gel, soap, or perfume. Try swapping it out for a greener brand for a couple weeks and don’t be afraid to experiment – there are hundreds of alternatives out there that are bound to suit your needs and benefit your health along the way! Do you do any of these things daily?